As I said before in my Season One Overview I see the second season much more like a reboot of the series, than a continuation. To keep the amerian audience watching the series ITC decided to have some changes for season two. They hired US producer and writer Fred Freiberger to bring some changes to it. And Freiberger changed a lot. It was his opinion that the characters needed some personal relations he missed in season one. That might have been a good idea. But they returned to the status quo at the end of the episodes every time. So it made no sense whatsoever. At the end of the season nothing really changed. The viewer still doesn't know if Koenig and Russel or Verdeshi and Maya are couples or not. Another change was that some characters were ripped of the show. Among them were Professor Bergman, Paul Morrow and David Kano. Sandra Benes returned but her character was temporarily renamed to Sahn Benes. Nick Tate's Alan Carter only made it back because his character was so popular in the states. The set of the Main Mission in season one was stunning and large. But at the end it made no sense to have the command centre on the surface of the moon where it's vulnerable to every attack or natural threat. 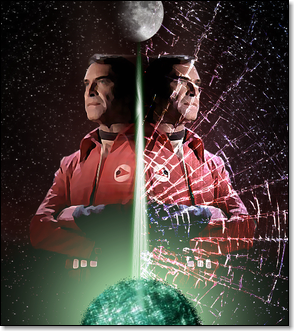 Since our modern science learned about the magnetic field of the earth and how it protects the human race from the deadly powers of our sun, the entire moonbase would have been placed below the surface if the series were developed now. So it wasn't wrong to go underground, but the much smaller set of main mission wasn't so impressive compared to the one of the first season. Granted. When Fred Freiberger said he was going to add more action and fun to the series he did a good job. Especially in his episodes, he wrote under the alias of Charles Woodgrove. The episodes "The Beta Cloud", "Space Warp" and "The Rules Of Luton" (if you like talking trees), were simply based on action. When it comes to comedy, one thing has to be named... Verdeshi-Brew! This was a very good addition to the show. The first officer of Alpha trying to please the crew with his own beer. Of course his attempts always failed except he was able to do some antimatter-brew after the show ended in any good fan-fiction. 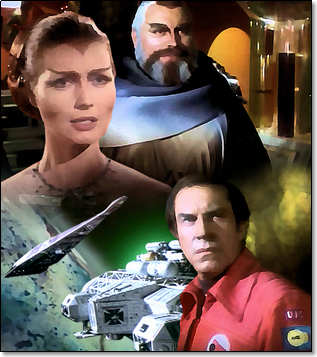 Season two also had a lot of guests to present beginning with Brian Blessed for THE METAMORPH, Geoffrey Bayldon (Catweazle), Freddie Jones (Tufir Hawat in DUNE), Sarah Douglas (beautiful Ursa from Superman II), David Prowse (equally invisible as in Star Wars), a very young Carolyn Seymour (a Romulan Commader from ST-TNG), Richard LeParmentier (General Motti from Star Wars) and more. The music changed a lot for season 2. The orchestral score from Barry Gray was no longer needed, so he was replaced by the Jazz musician Derek Wadsworth (1939-2008). His sound was very jazz-pop like and portraied perfectly the sound of the 70s. Like Barry Gray before he only composed the score for a few episodes (THE METAMORPH, THE EXILES, ONE MOMENT OF HUMANITY, THE TAYBOR and SPACE WARP). The music was rearranged for the remainder of the season. a special edition for their members and a bootleg was released in 2005. The score was still available when I wrote this in 2011. There are rumors that no one really loved the uniforms of season one. So changes were made there too. The new uniforms are more colorful and they added personnel ID-cards and some colorful jackets in blue and red. in two episodes the spacesuits were silver instead of red. Those were designed to protect astronauts in areas flooded with radiation. 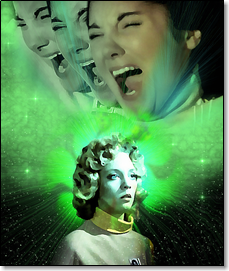 They were used in "Brian The Brain" and "Séance Spectre". 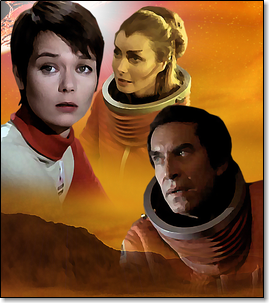 The most important new character was the alien woman called Maya from the planet Psychon. Fred Freiberger added the character personally and made her science officer on Moonbase Alpha replacing Barry Morse's Professor Victor Bergman. Catherine Schell, who portrayed her first was afraid she had to wear pointed ears because of Star Trek's Mr. Spock. At her side she had the new First Officer Tony Verdeshi, played by british actor Tony Anholt. He took over the job of Paul Morrow who vanished without a trace from the base. Verdeshi and Maya were attracted to one another. But their relationship never reached it's logical "climax" in the show. So didn't the relationship of Koenig and Dr. Russel. As secondary characters they added the pilot Bill Fraser and his wife Annette Fraser. Latter was a less than secondary character after all. 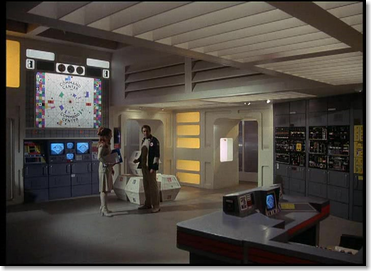 The technological changes are limited to the Eagle spaceships and another additional spaceship that was only used in one episode. The interior of the eagle crew transport module seemed to be a little smaller than befor. I have no idea why they did that. But with the season opener "THE METAMORPH" an additional thruster was added to the eagle to escape Mentors Morph-Ship. 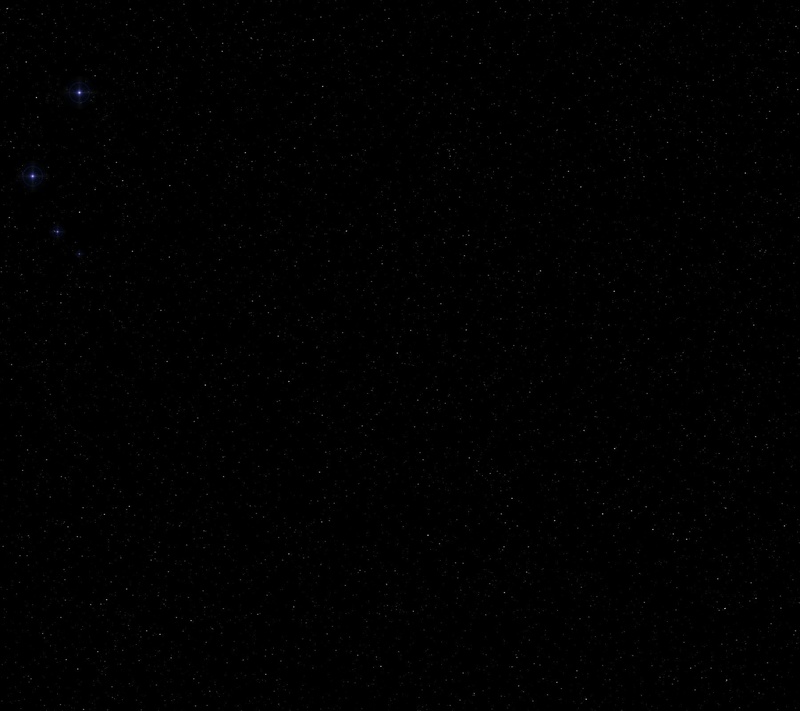 Later in the series a Lander without any thrusters was added. The ship had to be transported by an Eagle to it's destination and was able to penetrate the atmosphere and land like a glider on alien worlds. Unfortenately it wasn't able to start again. So what was the intended use of the ship? A one way mission? But the Lander made sense in a way. 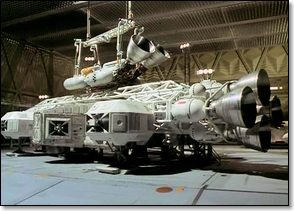 Let's see... if Space 1999 were a child of the 21st century the Eagle shouldn't be able to land on earth or any other planet with an earthlike atmosphere by design. First it needs a much more streamlining shape. The landinggear of the eagle nomally should break away during re-entry. Second it needed some shielding against the heat when it burns to the upper atmosphere. I guess that's why the moonbase crew in UFO never used an Interceptor to land on earth. It wasn't designed to do it. In UFO they had a special more streamlined Transporter to shuttle between moon and earth. It would have been a good idea to add such a (powered) Lander from the beginning. If we come to understand others, in time... we come to understand ourselves!